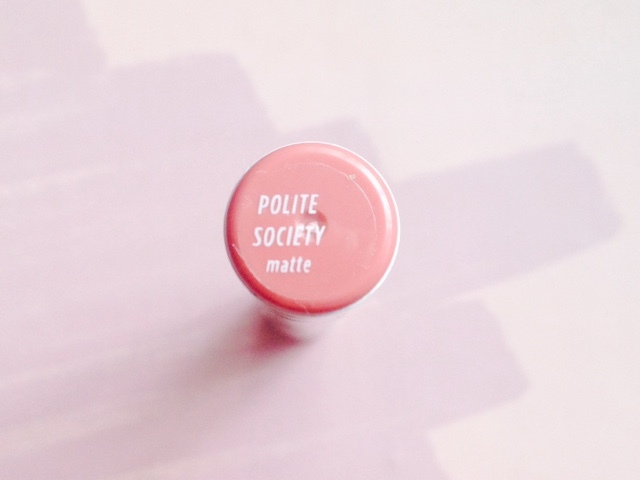 ColourPop Lippie Stix in Polite Society | Vanity and Everything in Between. ColourPop broke the internet and makeup industry when they launched in 2014! Their price range is so affordable and their collaborations with bloggers, Youtubers, and celebrities are always a hit. When I found out they collaborated with Jaime King, I made sure I would be able to get the entire collection. Until I decided not to get the entire collection. I decided to get all the eyeshadows, blush and bronzer, lipstick, and their latest product which is a contour stick. I adore Jaime King. She is very beautiful! I got one of the lipsticks with hopes I'll look like her! Charot! Jaime King released two shades - peach and red. She said she wanted shades that everyone will look good on everyone. The first thing i noticed though is that the shade of the lippie stix looks different from the shade of the tube. 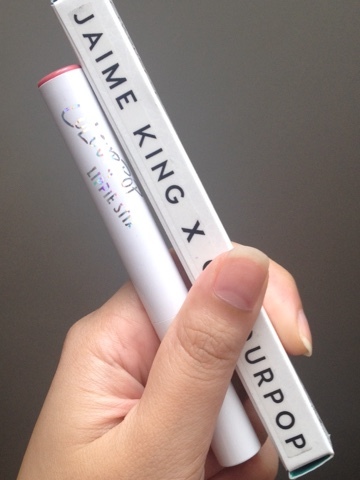 I have a dozen lippie stix but this is the first time I've seen a lippie stix that doesn't match the tube. Hmm. 1 gram worth of matte lipstick. 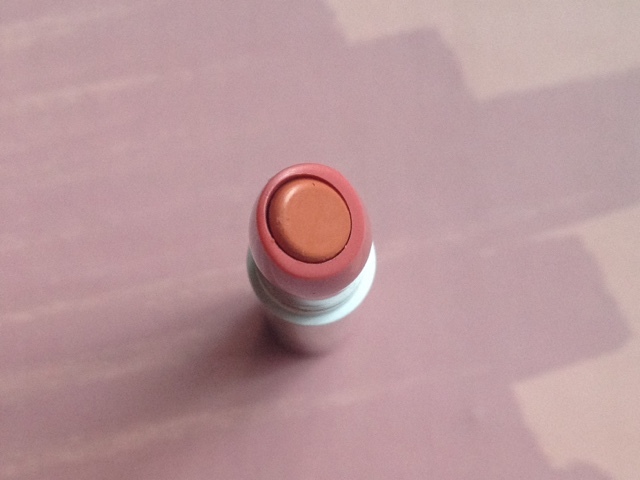 ColourPop Lippie Stix in Polite Society is described as a warm peach shade in matte finish. I'm happy that it looks good on me because I started to expect less when I saw this in person. I thought I wasn't going to like this because peach doesn't usually look good on me. 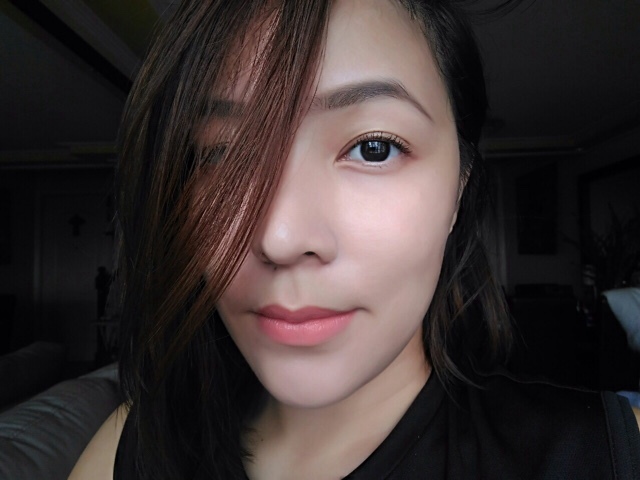 I love how this shade brightened up my face with very minimal makeup. I only did my brows and put on mascara on my lashes. You already know my sentiments about ColourPop. I love it like a kid loves candy. If you're a fan of Jaime King and makeup, then there's no reason for you not to get this or her red lipstick called Juju Rouge. It's worth it for USD5 a pop. 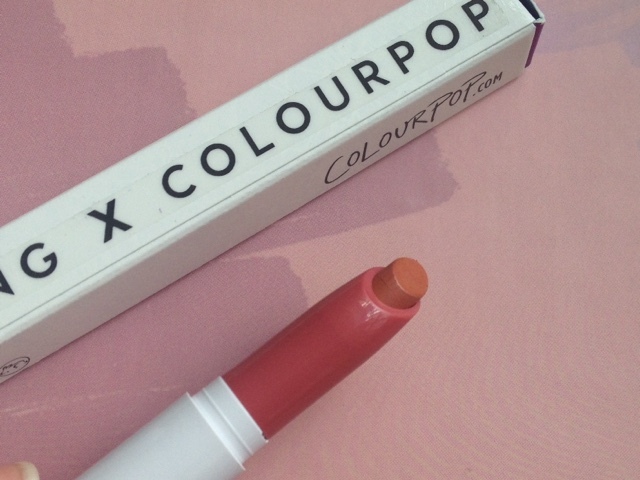 For other shade of ColourPop Lippie Stix, I reviewed them here.